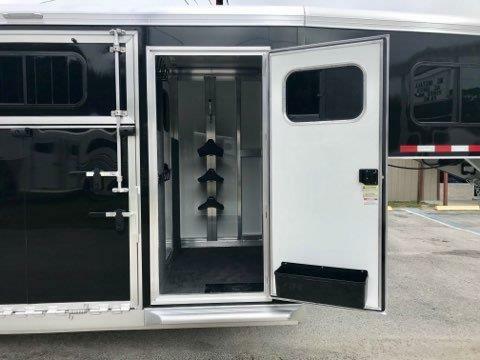 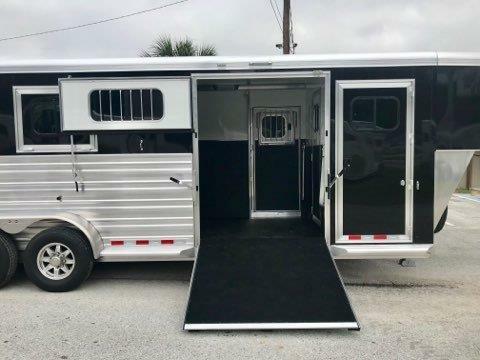 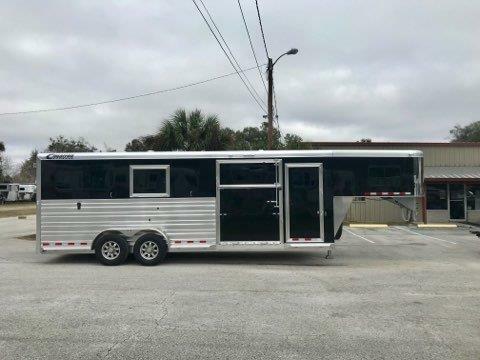 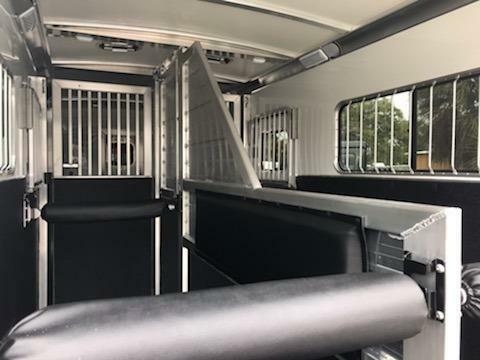 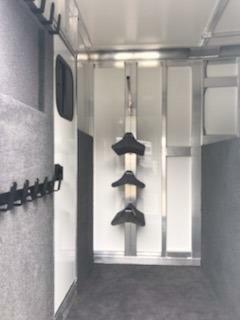 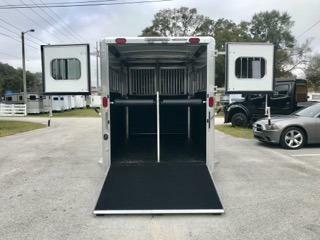 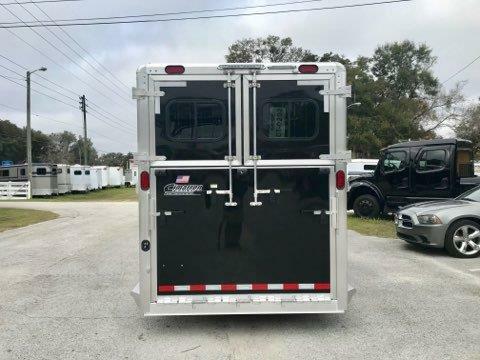 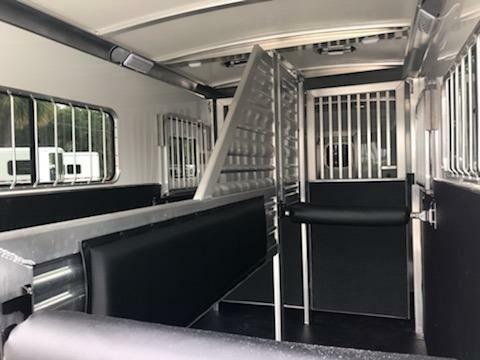 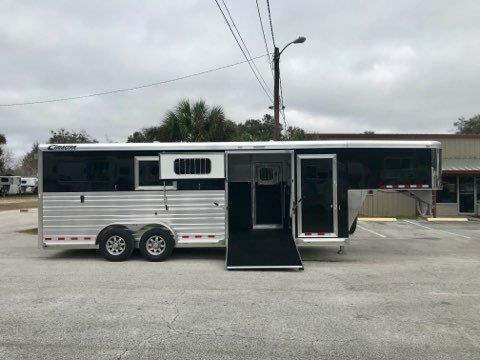 2019 Cimarron (2+1) GN Trailer with a tack room that has a (3) tier saddle racks, bridle hooks, brush box and insulated roof. 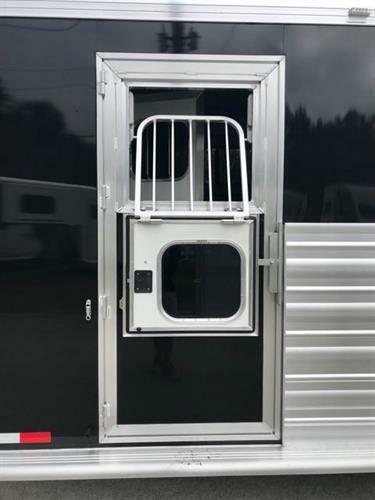 The horse area has an interior height of 7’6” tall x 7’ wide x 24’ long, makes into two box stalls – 10’ box stalls, escape door with a drop down window, side ramp with dutch door, rubber lined & insulated walls, rubber mats over all aluminum floor, double airflow gates, removable divider, rear ramp with dutch doors! 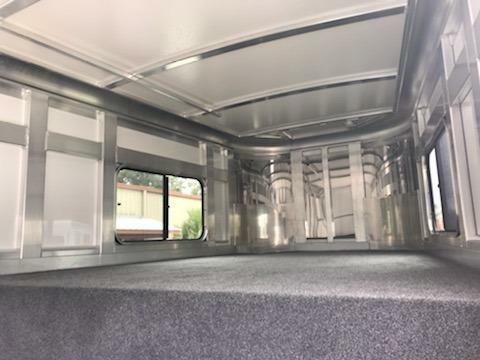 The exterior has a hydraulic jack, aluminum wheels and a spare tire. 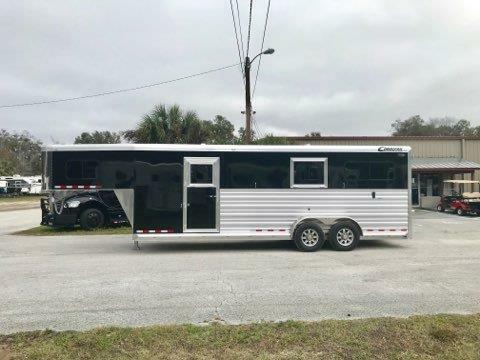 Black in color!